The Japanese High School Baseball Championship—better known as the Summer Koshien—is where legends are made. A young player could do nothing else notable in the sport of baseball ever again, and still be revered as a Japanese icon should he have a world-class tournament. It’s perhaps the single most important competition in Japanese sports. 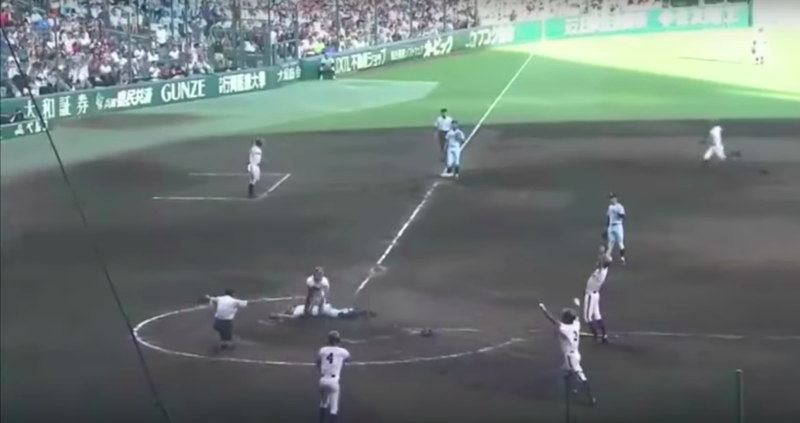 Kanaashi Nogyo eventually made it all the way to the final, on the backs of their workhorse ace Kosei Yoshida, who threw an absolutely ridiculous 749 pitches over five days. They were the first team from Akita Prefecture to reach the final since 1915—the first year of the tourney. Kanaashi would lose to Osaka Toin in the championship game, 13-2.